President Obama, in his desperation to save his Iran deal, has taken to attacking its opponents in personal ways. He has accused critics of his deal of being the same republican war mongers who drove us into the ground war against Iraq and has warned that they would offer “overheated” and often dishonest arguments. He has complained about the influence of lobbyists and money on the process of deciding this important issue, as if lobbying and money were not involved in other important matters before Congress. These types of ad hominem arguments are becoming less and less convincing as more democratic members of Congress, more liberal supporters of the President, more nuclear experts and more foreign policy gurus are expressing deep concern, and sometimes strong opposition to the deal that is currently before Congress. I, myself, am a liberal Democrat who twice voted for President Obama and who was opposed to the invasion and occupation of Iraq. Part of the reason I was opposed was because I considered, and still consider, Iran a much greater threat to the security of the world and to the stability of the Middle East than Iraq ever was. In my newly published e-book The Case Against the Iran Deal: How Can We Now Stop Iran From Getting Nukes?, I make arguments that I believe are honest, fair and compelling. I recognize some advantages in the deal, but strongly believe that the disadvantages considerably outweigh them and that the risks of failure are considerable. My assessment is shared by a considerable number of other academics, policy experts and other liberal Democrats who support President Obama’s domestic policies, who admire Secretary Kerry for his determination, and who do not see evil intentions in the deal. Even after the expiration of the nuclear agreement, will American policy remain that Iran will never under any circumstances be allowed to develop nuclear weapons? Or is it now our policy that Iran will be free to do whatever it wants to do once the deal expires? After the major constraints contained in the deal end, or were the deal to collapse at any point, how long would it take Iran to produce a deliverable nuclear bomb? Would the United States allow Iran to begin production of a nuclear arsenal when the major constraints of the deal end? Does the deal reflect a reversal in policy from President Obama’s pre-reelection promise that “My policy is not containment; my policy is to prevent them from getting a nuclear weapon”? If not, will President Obama now announce that it is still the policy of the United States that Iran will not be allowed to develop a nuclear weapon? How exactly will the inspections regime work? Precisely how much time will the Iranians have between a request for inspection and the inspection itself? What precisely will they be permitted to do during this hiatus? And why do they need so much time if they don’t plan to cheat? What will President Obama do if Iran is caught cheating on this deal during his administration? Precisely when will which sanctions be lifted under the agreement? Do provisions that prevent the P5+1 from imposing new sanctions apply even if Iran is found to be in violation of its commitments under the agreement? When exactly will sanctions prohibiting the sale of weapons, and particularly missile technology, be lifted? If and when these and other important questions about the deal are answered—directly, candidly, and unambiguously—Congress will be in a better position to answer the fundamental questions now before it: would rejecting this deeply flawed deal produce more dangerous results than not rejecting it? If so, what can we now do to assure that Iran will not acquire a nuclear arsenal? The answers to those questions may profoundly affect the future of the world. So the President should spend more time on substance and less on personal attacks. 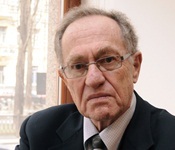 Alan Dershowitz is an emeritus professor of law at Harvard Law School. 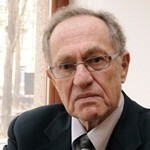 How could Dershowitz, ostensibly an intelligent man vote for Obama? Twice? Undermines any statement he makes even if true. WELL SAID—BUT IT WON’T GET ANYWHERE!!!! OBAMA USING THESE PERSONAL ATTACKS BECAUSE HE HAS NO ANSWERS TO YOUR QUESTIONS!!!!!!!!!!!!!!!!!!!!!! Mr. Dershowitz makes several good points, but one weak one is asking if the U.S.’s intends to keep Iran from the bomb once the deal expires. President Obama will have been ex-President Obama for many years once that time rolls around and regardless of what he answers to that question now, it will be a different administration making that decision. 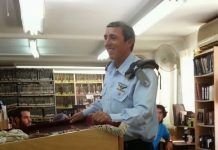 I agree that there are no “evil intentions” in this deal as far as Obama wanting harm to befall Israel and its millions of citizens, but by discounting Israeli concerns about the existential threat Iran poses to Israel and dismissing Prime Minister Netanyahu out of hand, it doesn’t make any practical difference if he’s evil or just very misguided. Ah, yes, the liberal genius Alan Dershowitz. Who announced before the 2012 elections, “It is imperative that this election not be turned into a referendum over Israel’s security in which a vote for the Republican candidate is seen as a vote in favor of Israel’s security, while a vote for the Democratic candidate is seen as a vote against Israel’s security.” And who proudly declared that he would vote for Obama because, among other things, his support for the rights of practicioners of to’eiva. 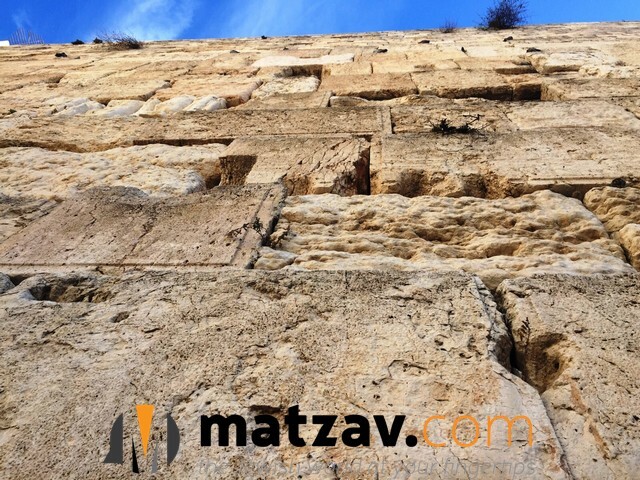 As Chazal say: resho’im m’layim charotos. But it’s a little late now, Professor Dershowitz, isn’t it? And I have yet to hear or read about Professor Dershowitz getting up and admitting that he was a fool and may have contributed to a tragedy for klal Yisroel. Attacking opponents on a personal level as opposed to attacking opponents’ reasoning – typical liberal manipulative tactic. After all, liberalism is based on emotions and never stands up to any sort of intellectual examination.